As an employer, we understand your constant need for an efficient and faster way of providing payslips for your employees. That's why we made ordering of payslips a very easy process that takes just a few minutes. Standard A1, A2 and A3 Payslips are your basic payslips that comes in different colors. With makepayslip.co.uk, hover your pointer to Make UK Payslip on the upper right side of the website. 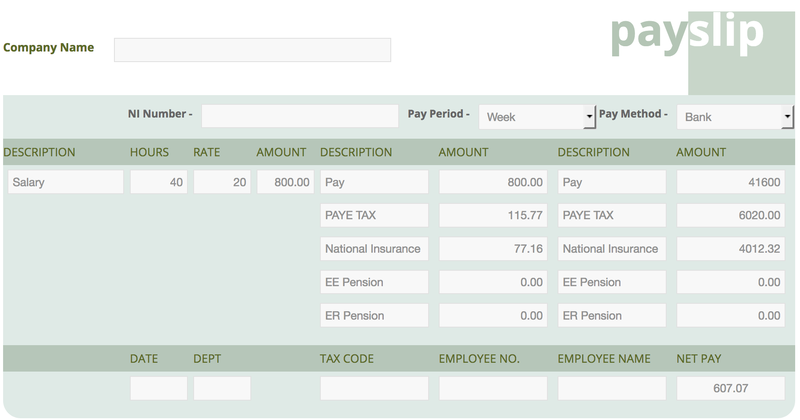 It is where you can choose between Standard Payslip, A1, A2 or A3 Payslips. You will then be taken to a form where you will be asked to fill your company and your employee's information. You are given a choice to have auto-calculator on or off. Auto-calculator on simply means we do all the calculations for you. The only thing you have to provide is the rate per hour or per day (depending on how often you pay your employees) and the number of hours or days the employee worked. Whereas turning it off, you will have to input and calculate everything manually. We will immediately email PDF copies of your document once it is finish. Do note that we provide money back guarantee if you are not satisfied with our work.